Oh baby, don't write Cessna that deposit check just yet for your new low-wing, composite Cessna (Columbia) 350/400. While Cessna has signed a Letter of Intent to acquire the Bend, Oregon maker, Cirrus has now jumped into the fray big time and has joined the bidding for Columbia Aircraft Manufacturing Corp.
BEND, Ore. (AP) — The number of interested buyers for the Bend-based company now numbers at least four with the addition of Cirrus Design Corp. of Duluth, Minn., the world's second-largest manufacturer of single-engine, piston-powered general aviation aircraft. Cirrus, a major competitor of general aviation titan Cessna, filed a motion late Thursday with the U.S. Bankruptcy Court in Portland, expressing interest and saying that Columbia's proposed bidding process unfairly favors Wichita, Kan.-based Cessna Aircraft Co. The two other potential buyers are investment firm Versa Capital Management Inc. and high-tech manufacturer Park Electrochemical Corp.
Cessna, the largest manufacturer of piston-engine airplanes in the nation, already has signed a letter of intent with Columbia, announcing plans to purchase the company and its operations for an undisclosed sum, plus the assumption of certain debts. Columbia listed $60 million in unsecured debts in its bankruptcy papers. Before Cessna can proceed with the acquisition, however, other interested parties must be given an opportunity to bid for Columbia. That auction is slated to take place Nov. 21. Cessna’s purchase of Columbia could put it in a stronger position to compete with Cirrus, now the nation’s second largest piston-engine airplane manufacturer and maker of the SR22, the best-selling aircraft in the world. 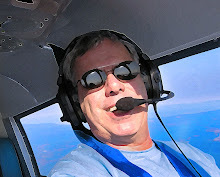 Cirrus CEO Alan Klapmeier was unavailable for comment Monday but issued a statement about Columbia, saying: “Naturally, Cirrus would express interest given some of the similar advanced technologies in the Columbia and how the line could complement the current Cirrus SR line. Cirrus has the ability to expand the business and at the same time further enhance the value of our business. Obviously, we also have the capabilities to take great care of the customers." Another possibility – which is purely speculation at this point – is that Columbia has a new product under development that will help Cirrus grab a larger piece of market share, without all that pesky research and development. Maybe it is a six-place turboprop, or a twin diesel...or even a light jet. In any of those scenarios, Cirrus saves significant time and money moving a new plane to market by acquiring any new designs that Columbia has languishing in their skunk works. This is a story I'm going to follow closely, it is just too important to the future of GA. Mark your calendars for November 21st – a day that ought to be very interesting for the aviation business community.